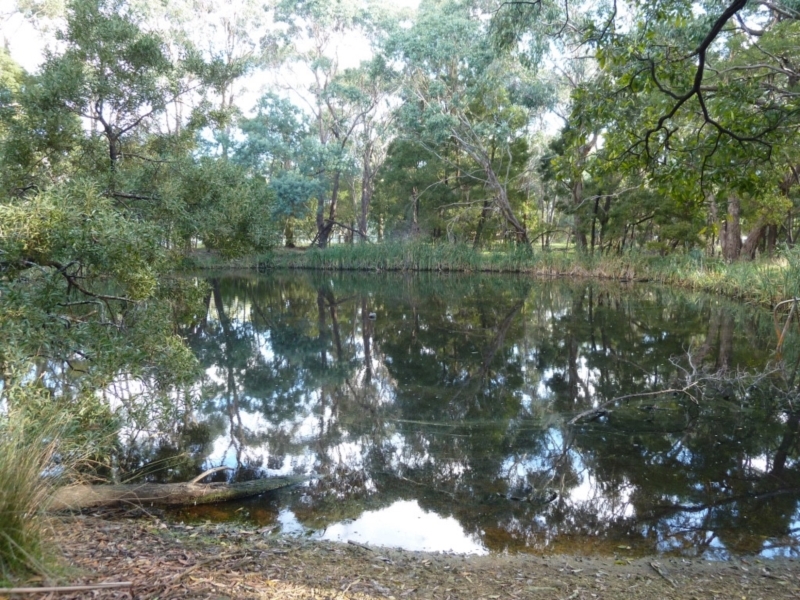 This walk explores the reserve around Hanging Rock, including the small racecourse lake, the forest around the Rock itself and the beautiful parkland areas. 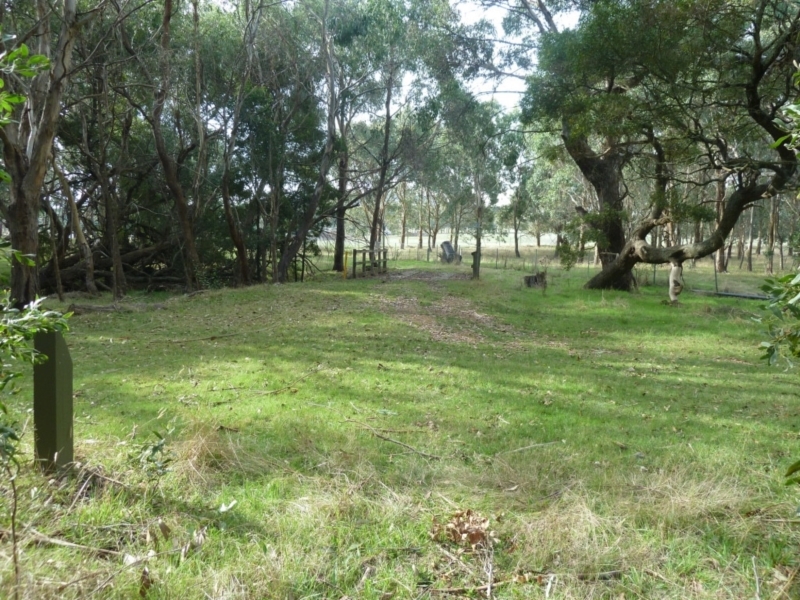 It is something of an adaption of the Base Walk and Creek Walk shown on the visitor information board near the cafe. 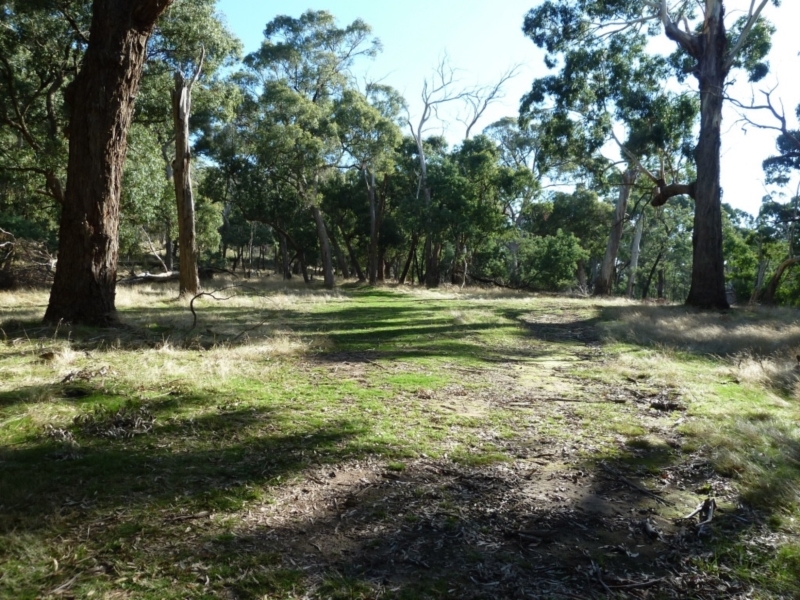 The area near the visitors centre and the summit walk can get very busy, but this walk takes you away from the crowds to the quiet parts of the reserve. Having said that, you can easily do this walk and the summit walk on the same day and still have plenty of time for a picnic! 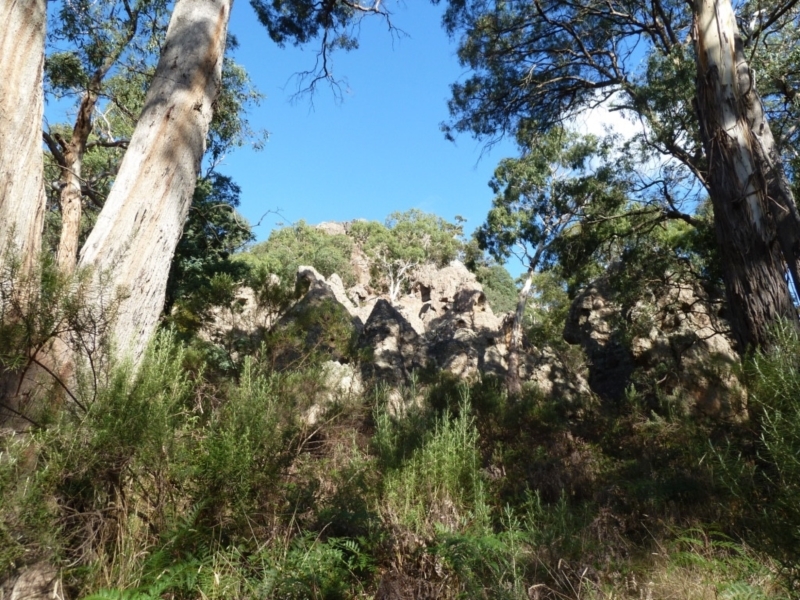 Note that there is a fee to enter the Hanging Rock reserve - currently $10. There are plenty of facilities including a small playground, free BBQs and a cafe. This diverse walk takes in a range of wildlife habitats, so keep your eyes open! Unfortunately that also means it is not suitable for dogs. To follow this route, start the walk by the toilet block in the car park. At that point there is a pedestrian gate in the high fence around the racecourse. Don't let the fence and the lack of people put you off - public access onto the racecourse is allowed except during races, which only happen twice a year. Having said that, a potential variation on this walk is to go around the outside of the racecourse rather than walking through it to the lake. 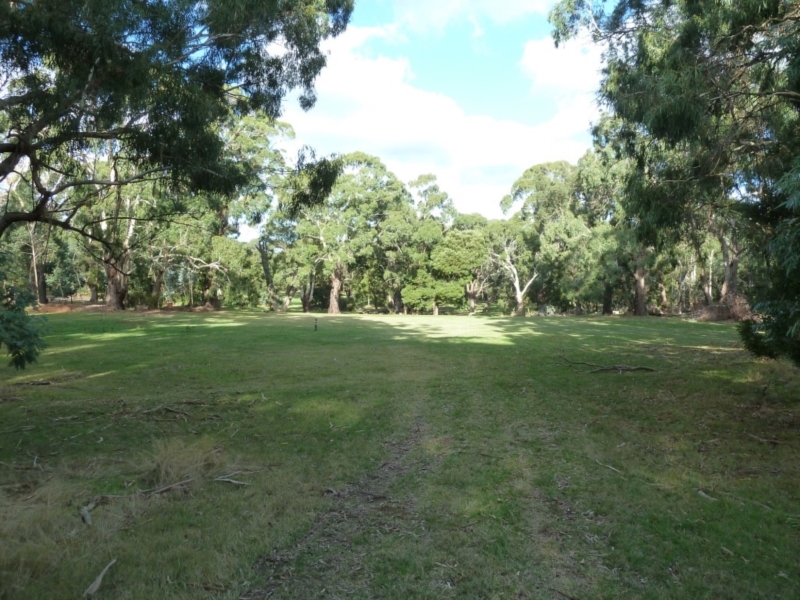 At this point you get a look at the native grasslands to the north of the lake. 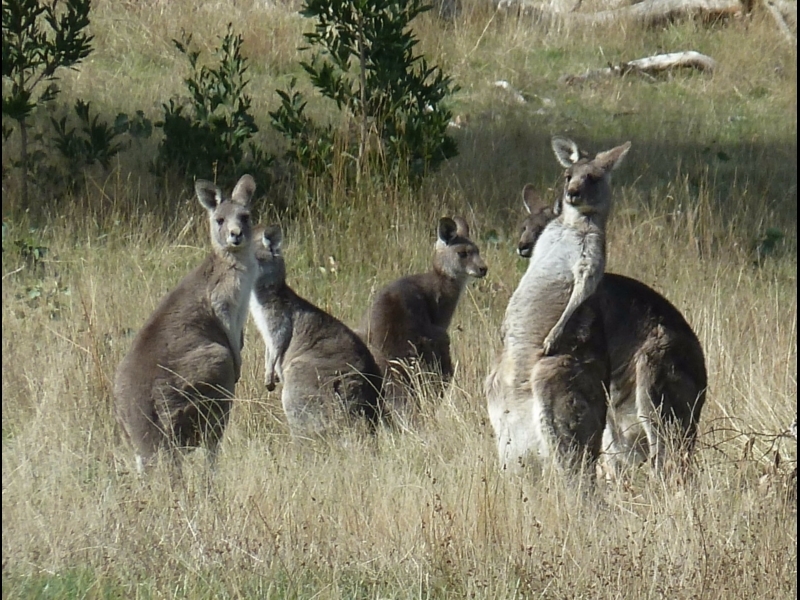 This is one of a number of places on this walk where you have a good chance of seeing kangaroos. 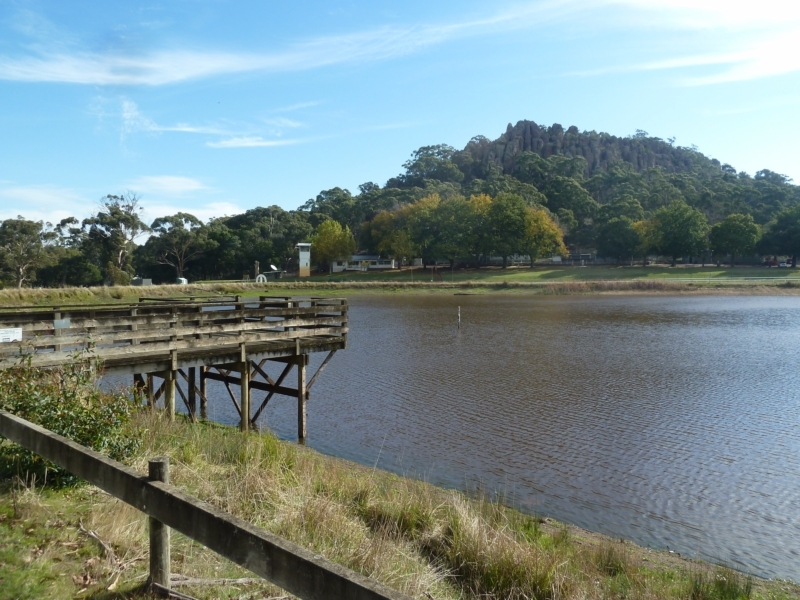 At this point there is an area with picnic tables and a small jetty overlooking the (artificial) lake, with the Rock in the background. Fishing is actively encouraged! 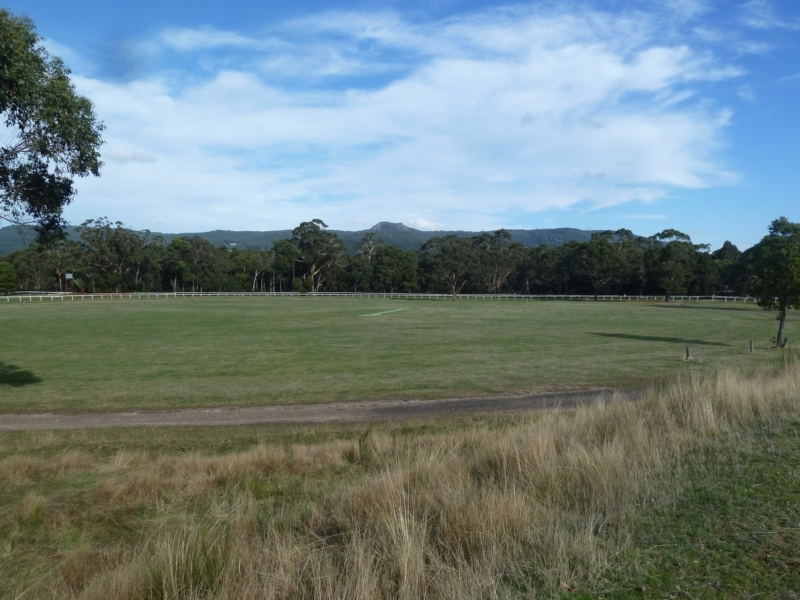 Walk around the edge of the dam and you get these views over the oval to Mt Macedon (as well as views to the Rock). After leaving the lake, look for the gate in the fence at the end of the racecourse buildings, then cross the road behind. Walk north until you see this track heading into the forest. The path passes through the forest around the Rock, which sometimes appears through the trees, like this. Don't take the road heading off to the visitors centre, walk down into this clearing and wander through the parklands on the north side of Smokers Creek. 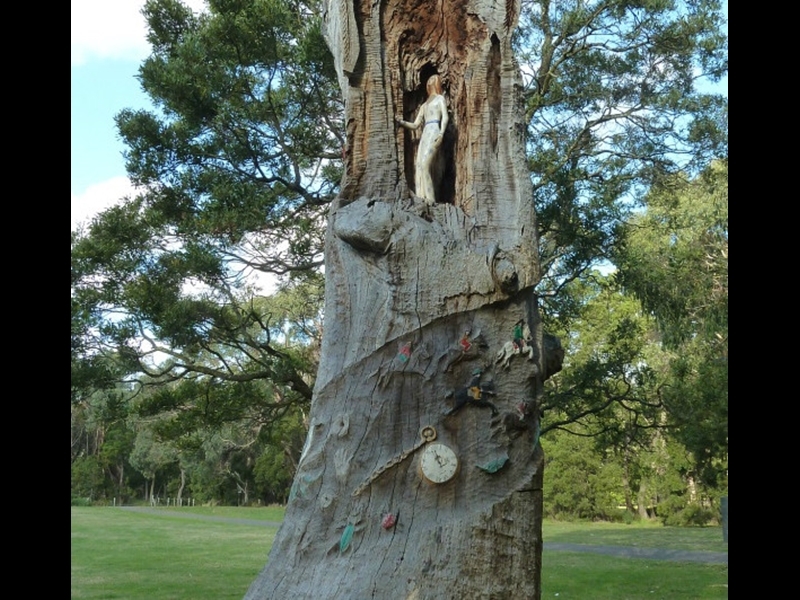 This manna gum tree was hit by lightning in 2003. Local artist Tim Jones worked with schools in the area to create this sculpture from the remaining stump. Walk across the footbridge and then take a look to your right to see if you can spot any wildlife on the dam. 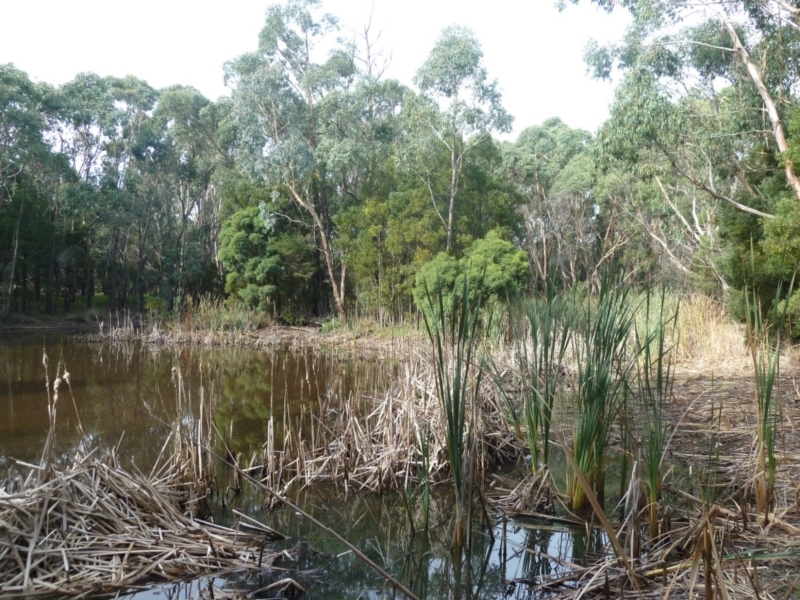 You could go straight back to the car park, but why not explore this part of the reserve as well, including this wetland area? Find your way through the forest round the side of the wetland (we saw a surprising number of different bird species here). Then you'll come to this clearing and bridge over the creek.